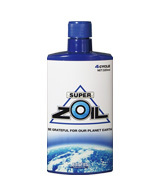 Concentrated formula of our traditoinal SUPER ZOIL for 4 Cycle. Same effect can be experienced with only half the amount. More suitable for large engine cars. Designed for 4 stroke (4T) engines. 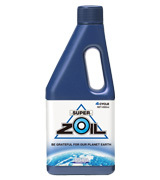 SUPER ZOIL ECO extends the life of engine parts and significantly reduces metal friction. This will minimize engine problems and helps maintain engine's best condition. Its high anti-corrosion effect will extend the period of oil change cycle. When used in new cars, it will support to maintain its new engine condition. When used in old cars, it will restore its engine performance. ※Can be used for both gasoline and diesel engine. Apply from Engine Oil inlet. 5% to the total amout of engine oil. No need for pre-conditioning. Few minutes of idling and gear break-in will complete the treatment. Can be applied to wide range of machines such as 50cc small motorbicylce to hybrid car. You will experience smooth feeling and good milage. Prevents oil degration by preventing high temperature and oil film shortage when at high rotation. Prevent oil film shortage from low-viscosity oil. Prevent galling from mechanism, and extends engine life. PTFE, organomolybdenum, chlorine, organic solvent free. 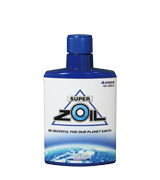 Add SUPER ZOIL ECO through the engine oil inlet. 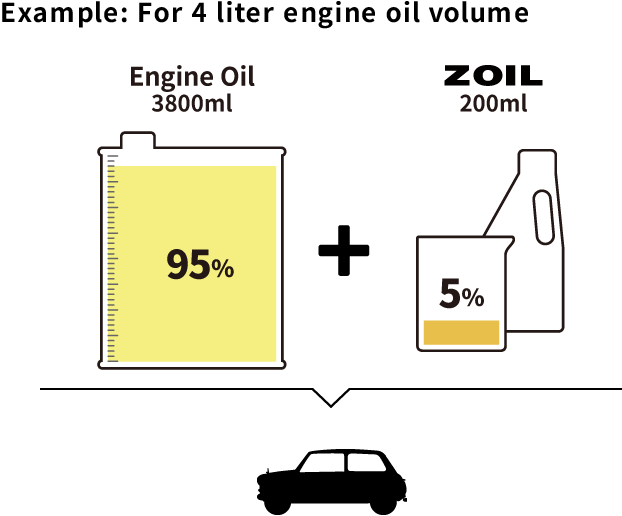 The appropriate amount is 5% of total engine oil. 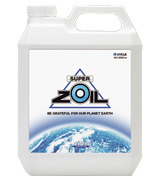 Make sure not to over fill by adding SUPER ZOIL ECO. 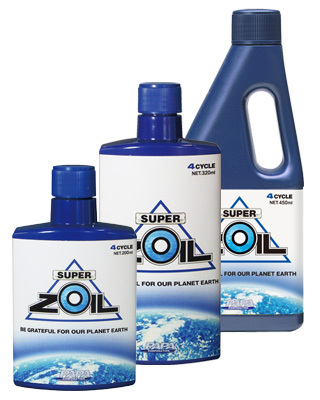 SUPER ZOIL ECO is most effective if added just after an oil change No breaking-in period is necessary when using SUPER ZOIL ECO. The treatment with SUPER ZOIL ECO is completed after only several minutes of driving. It can be used for gasoline engines (including rotary engines and horizontally-opposed engines) and for diesel engines.